7th ESISM International Workshop was held at Rakuyu Kaikan Kyoto University. 6th ESISM International Workshop was held at Rakuyu Kaikan Kyoto University. 5th ESISM International Workshop was held at Rakuyu Kaikan Kyoto University. 4th ESISM International Workshop was held at Rakuyu Kaikan Kyoto University. 3rd ESISM International Workshop was held at Rakuyu Kaikan Kyoto University. 2nd ESISM International Workshop was held at Rakuyu Kaikan Kyoto University. 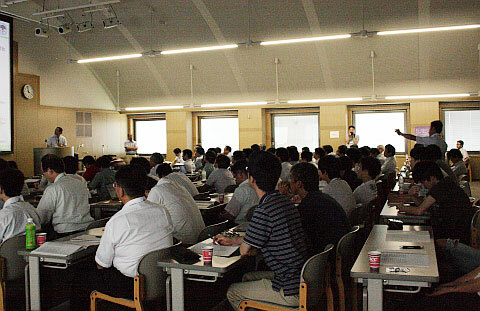 2nd ESISM Symposium 2013 was held at Rakuyu Kaikan Kyoto University. It was a great success with more than 80 participants. 1st ESISM Symposium 2013 was held at Kyoto University (Japanese text only). 1st ESISM International Workshop was held at Rakuyu Kaikan Kyoto University. 2nd Symposium was held at Tokyo-Office Kyoto University (Japanese text only). 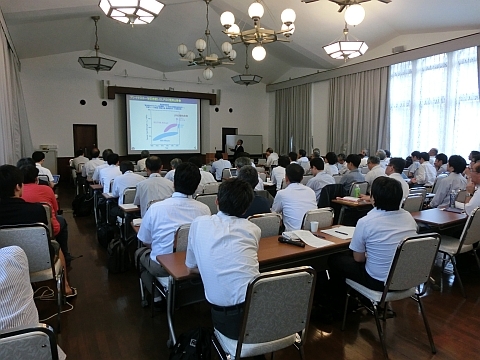 1st Symposium was held at Fukui Institute for Fundamental Chemistry Kyoto University. It was a great success with more than 100 participants. 1st Symposium for Elements Strategy was held at Tokyo Gakushikaikan. The adoption of the project "Elements Strategy Initiative for Structural Materials" is decided. © Elements Strategy Initiative for Structural Materials All Rights Reserved.